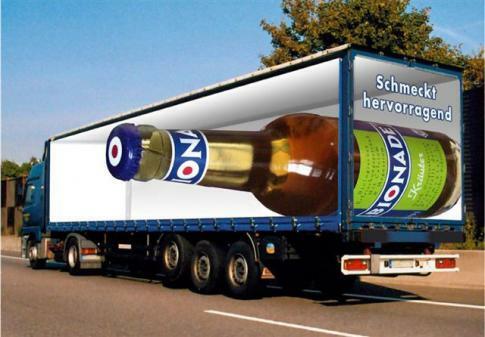 This picture created by Pat McNulty shows a truck that has been altered to show a giant bottle that appears to be contained within the back of the vehicle. AMAZING!!!! A great work of art!!!! I love this one to bits!!! Wow what a great piece of art this is!